When you’re designing a new bespoke kitchen, energy efficiency isn’t always top of your list. First and foremost, you want to create a space that really delivers on your dreams. As we all know, the kitchen is most definitely the focal point of any happy home so it deserves some special attention. But that doesn’t mean you shouldn’t look to make energy savings and switch to more eco-friendly practices to help out the planet. A greener kitchen may not save the world on its own but it can make a difference. And it’s not that difficult to incorporate an eco-friendly approach into your new design. It can be a little bit more expensive than standard halogen or CFL lighting but in the long run LED lighting will cost you less. You can now get really good installations, including strip lights that look fantastic. LED bulbs on average last about five times longer than standard CFL and there’s no warming up time either. They also, of course, use considerably less electricity which will save you more over the coming years. Switching to LED throughout your home can make a difference to those utility bills, especially during the winter. Planning a new kitchen is often the right time to change a few of your older appliances. The last thing you want is for your great design to be spoiled by an old washer or fridge. The range of appliances nowadays that are highly energy efficient is incredible. 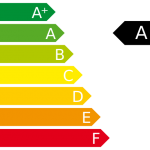 Look for the A rating and pick one that meets current EU energy standards. Always go for quality over cost if you can and you’ll end up with an appliance that is set to last and saves you money in the long run. Remember, the great news is that with items like washers and fridges, the company you bought it from is legally obliged to take away your old appliance when you purchase a new one. One thing you might like to take a closer look at before you have cupboards and worktops installed is where these come from. More and more suppliers nowadays are looking to responsibly source their materials. If you want to make sure that you’re having as little impact on the planet as possible, it pays to have a chat with your installer and tell them exactly what you want. It’s not just electricity and gas that can be a drain on your pocket, saving water should be an area we all look at more seriously. We can often take our water supply for granted but installing low flow taps in the kitchen that give you more for less can actually help reduce your yearly bill. It’s estimated that the public need for water will outstrip supply by 40% in the next couple of decades so we should all be doing our bit right now to reduce our usage. If you’re a keen cook, the focal point of the kitchen is going to be that lovely new stove. Most will tend to go for gas rather than electric here but there’s no harm in having a duel fuel option in your sights. Again, you’re looking for a cooker that has an energy efficient A rating and has good ventilation meaning that food cooks quicker so you use less. In summary, just because you’re having a luxury new kitchen designed doesn’t mean you should completely forget about energy efficiency or being eco-friendly. You should think about how you can make your new kitchen bespoke to your ethical outlook. There are plenty of choices out there and working with your kitchen designer will mean you make the most of any options as well as choose the right materials for that brilliant new installation.